These species live for about 100 years. 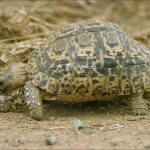 The leopard tortoises usually inhabit the parts of the African savannahs. These species like to graze on berries and plants. It is difficult to attach these species because they have a hard shell, which is difficult to penetrate. They can mate only when they attain 10 years of age. These species are recognized as the largest among family of tortoise. The shells of these species are undoubtedly beautiful. 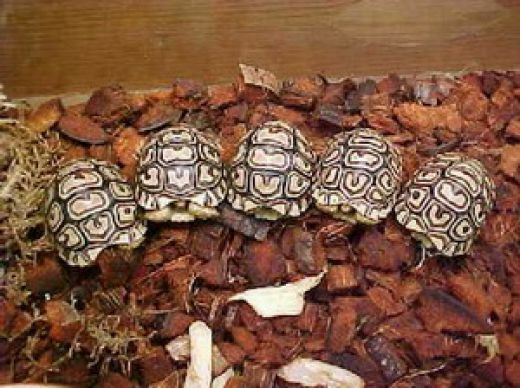 Size of Leopard Tortoise: As these species become adults they attain the average size of 18 inches. Their weight is measured about 18 kilograms. It is also seen that the carapace of an adult tortoise attains an average size of 24 inches. The magnificent tortoise can become as large as 39 inches. 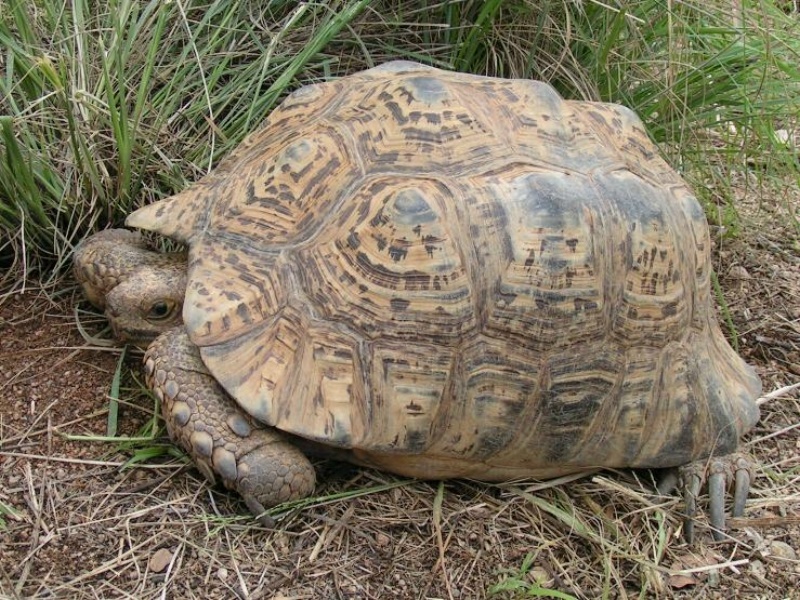 Shell of Leopard Tortoise: The external shell is dome shaped. It is decorated with pyramidal covering that is outstandingly appealing to the eyes. Every tortoise reflects some attractive pattern. 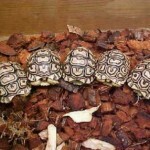 Color of Leopard Tortoise: The original color of the carapace is an appealing pale yellow or cream. Moreover, it is garnished with black colored spots, blotches. These species inhabit the regions of Africa spanning from Sudan to Southern Cape. These species can inhabit in both hot and cold areas along with the rainier parts. They usually dig when they are expecting to lay eggs. They can mate very young even at 10 years. These species always cling to their world and are very defensive. When they are in danger, their shells provide best fortification. The leopard tortoise like to feed on flowers, weeds and grasses. One most interesting thing is that they do not require much water rather they extract it from the food itself. 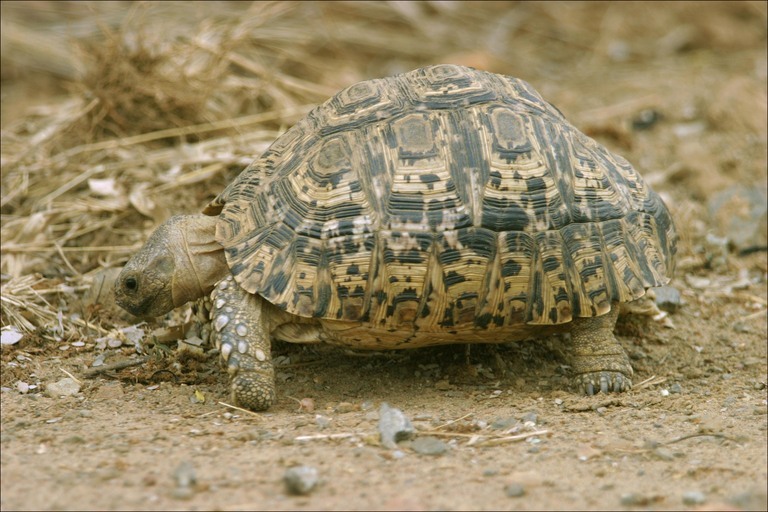 The leopard tortoise inhabits the regions of the Savannah, which is dotted with scarce vegetation. They are also found in bushy areas that help them to escape the extreme heat of the sun. There are, some who prefer to dwell in place with a lot of rain. One can also spot them in the holes of foxes, jackals in order to defend from the harsh weather conditions. These species start mating on attainment of age between 12 – 15 years of age. At the time of mating the male counterparts emit an uttering sound. Once the course of mating gets over, the females begin to lay their eggs. In each clutter there are about 5 to 18 eggs. These species attain maturity at a very early age probably by 6 years of age. 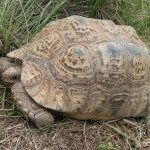 However, the development of the South African tortoise in terms of numbers is tough. These species can live for about 100 years. Proper Feeding: These species are herbivore. They especially feed on green grass that is devoid of pesticides but enriched in fiber. The grasses should be like orchard grass or timothy. One should also feed them with proper vegetables. However, one should make sure not to give them vegetables like spinach and beet as they contain high oxalate. Necessary Supplements: For the betterment of their health, it is good to supplement these species with vitamin D3 and calcium on a regular basis. Outdoor Housing: For outdoor housing, the temperature range between 27 or 32 celsius.These species cannot survive well in cooler temperatures. One should endeavor to keep these species in a fortified area away from their predators. There should be adequate water and pretending area, which would make them feel homely. Indoor type Housing: These tortoises need at least a 4 – 8 feet tank to reside. In order to make the surface hay or grass should be preferable. The minimum temperature should be 95degree Fahrenheit. There should be UVA or UVB light to provide these species a scope for fake basking. During the daytime, the temperature should be kept within 80 to 90 f while during the night the temperature ranges need to be maintained within 65 to 75 f.
These species are not threatened. However, it is better not to smuggle them as this is prohibited by laws.